Between vacation and out-of-town company, I’m cutting things close this week. For September, the Bread Baking Babes committed some kind of crime I’m pretty sure by baking Sûkerbôlle, or Frisian Sugar Bread. Monique, of Living on Bread and Water, found an old recipe and made that her selection. I just couldn’t pass this one up, that’s for sure. How can you miss with cinnamon, sugar, ginger syrup, great texture, terrific flavor and smell? It was all I could do last night not to consume the whole loaf. I did bake the bread slightly longer than the original recipe. After 30 minutes at 400ºF, the internal temperature was below 170ºF, so I covered the top with foil and put it back into the oven for 15 more minutes, lowering the oven temperature to 350ºF. When I checked again, the internal temperature had reached 200ºF, and after cooling for one hour, the insides were perfect. Next time I bake this – and there will be a next time – I will play with shaping so the cinnamon-sugar mixture will be more evenly distributed. Oh, as an added benefit, some of us had to make our own ginger syrup, which also meant making our own candied ginger. It’s so much better than store bought and easy to do! (I’ve been nibbling.) Thanks, Lynn, for sharing that recipe. 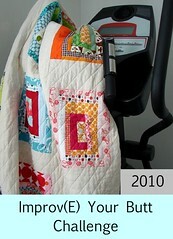 Yours looks fabulous! I had to bake mine longer too, but you were smarter - mine exploded because I didn't slash it :) And rolling the cinnamon and sugar chunks in definitely was a good idea, because the cinnamon ended up everywhere. Yum. Lovely Judy. I'm sure you're right, there must have been a crime when it's just so good in all ways! Thanks for baking with us! Oh and absolutely slash! It invites such drama! I should have used a thermometer. I was so worried about burning the outside - I didn't worry enough about the inside. Great loaf you made there, my compliments!! That is one beauty of a loaf there Judy! Wonderful job! Thanks for baking with us! You made a great loaf. Thanks for baking with us ! 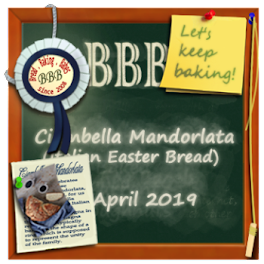 Your BreadBakingBabesBadge is on its way ! Blood By Mail. Oh. No. Wait. Blogging By Mail.